Below you can view all the homes for sale in the Cherry Creek Vista subdivision located in Greenwood Village Colorado. Listings in Cherry Creek Vista are updated daily from data we receive from the Denver multiple listing service. To learn more about any of these homes or to receive custom notifications when a new property is listed for sale in Cherry Creek Vista, give us a call at 720-580-6828. **Option To Purchase Furnished Copy Link To See Video Tour: https://promo.com/share/5caea209861eda57b74991c2 MLS#4464492. MB BANCROFT PRO. Walking distance to: small streams, Cherry Creek Reservoir, bus stop and many restaurants and other shops. MLS#4375569. USRealty.com, LLP. A sought after location neighborhood pool, clubhouse, tennis courts & trails to parks, Cherry Creek State Park & Award winning Cherry Creek Schools! MLS#7863324. RE/MAX Professionals. HOAccess to pool, tennis court and basketball court MLS#6960843. HK Real Estate. 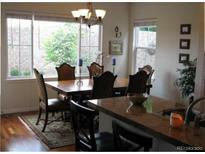 Walking distance to Cherry Creek park, shopping and restaurants as well as easy access to I-25. Welcome home! MLS#3127061. Keller Williams DTC. The upgraded backyard includes a fireplace, stone deck, new sodded lawn with new sprinkler system & a play space ideal for entertaining & fun. MLS#3722177. RE/MAX Professionals. Stress-free living at its finest in coveted Greenwood Village. Cherry Creek Schools! MLS#5452578. LISTINGS.COM. Gated community, Cherry Creek Schools, large east facing trex deck, 2-car attached garage, community pool and tennis and views of Cherry Creek State Park. MLS#4295494. KENTWOOD REAL ESTATE DTC, LLC.